MACHIVENTA: Good morning, this is Machiventa; I am here with you once again. Your world is continuing to evolve socially, economically, politically and in many other ways that you have not anticipated. Perhaps one of the greatest fallacies and errors in thinking that we see common among all humankind is that of making assumptions, that tomorrow will be like today, and that the day after and years after and a century after will be pretty much as it is today. You realize as we have so long ago that assumptions are the pitfalls for great error and for great disasters. It is a function as you have seen in your world which leads to being blindsided. One is that we particularly point out today is that, as economic theorists and philosophers have been recently discussing, there is always the economic penchant for assuming that the positive always dominates the future, and that it is just a matter of figuring out how to overcome those obstacles that are created in the market and through the economies of the world, and through the trends of purchasing by the public that they can overcome what comes tomorrow. As one astute scientist has noted that almost none—none—have brought to bear upon the scenario of decreasing profits, of stagnant profits, or decreasing profits. They have held the same for the economic situation of the world; they have not anticipated and have actually no theories or plans or scenarios in mind for dealing with stagnant growth, neutral growth or degrowth—decreasing growth—on an ongoing basis. What has caused most economies to fail is the unanticipated outcome of those developments, or the initiation of them. Even as many as several thousand, tens of thousands economists at the beginning of the recession of 2008 did not anticipate what would occur. They had no scenarios for existing in a decreasing economy, how to preserve their existence while living in a decreasing economy. This is paramount to the reconstruction of your economies, your societies and your governments in the future. Of all the infrastructures of the world, the global economy down to the local financing and your local bank are most important for re-establishing an ongoing and stable future for your societies and nations. Reconstruction of your societies will not be possible without some kind of functional economy on the local, to national to global basis. We point this out because this is one area that is, while the global economy has immense inertia because of the size and mass of the economic activity of the world, it nonetheless has a tendency to have these long trends either up or down. It is rare that there is any stability or neutral growth. National economies are not used to having a stable economy, meaning that there is no growth and there is no loss of that growth that has been achieved. This is an important distinction that must be made in a stable and peaceful world. It is the situation that exists primarily in the Days of Light and Life. What you need to plan for are those days, weeks, years, decades and centuries that lead up to that, because they will be quite tumultuous until humanity/mankind learns the wisdom of a global economy that is stable. We have spoken to you numerous times in the past of the oneness of all humanity that the commonalities of all humankind are in each individual. There are billions of individuals who have these same commonalities; the only visible differences are perhaps your skin color, the language you use, or perhaps the dress that you use. These things will become forgettable and you will overlook them in the future, as you know that people are the same as you are, that they have the same values, the same motivations and the same desires. Everyone searches for peace; you have searched for peace; you have thought about peace; you have worked on peace; you have worked on peace projects; you have marched for peace; you have written placards and had them outside of state capitals, and so on. The peace movement is global as everyone wants to have peace, yet the substantiation, the baseline for peace is stability; that means an oneness, a likeness. And as you have seen from your readings in the Urantia Book, it talks about one language, one global language, one global economy, one global political system. That is the oneness. Where you see differences are where there is ego or nationalism to the extremes, and those individuals who seek power and authority and wealth from their positions, who seek to have unstability in order to take advantage of the largess, the goodness of those who want peace. You live in a very difficult world, as you have very difficult individuals who occupy positions of power. You note this as you observe the work of your national Congress in the United States, as it has plunged itself into incapability; it has not the capability to amend itself, right itself, correct itself or even deal with the issues that are coming forth other than through argumentation and showing of differences. It is not so much important to find commonalities, but to find differences and then to beat down the opposition so they do not exist. This is untenable; this is simply untenable; it does not work. Compromise is a good partial solution when times are difficult between oppositions. However, what is most desired is consensus above the majority; in other words, you are seeking consensus above 50% of the population, where 55, 60, 80% of the people agree on a certain course of action, and the nation can then proceed with speed, effectiveness and the will to do good, and to complete those efforts. When you look at this in the light of your national situation, whether it is in England or the United States and other nations, you find that those people in power, those positions of power, those agents of power are now incapable—incapable—of overcoming the differences that they have. And they are incapable of overcoming those because they hold the same ideas, the same identification with crystallized, stratified positions of authority and power. This is the beginning of a necessary (r)evolution. We could put a small “r” before the word evolution, which would be accurate. What we are seeking through social evolution is political growth, maturity and development, the evolution of all social institutions, which include democratic process, health, education and the family. As you can see, the Melchizedeks and the Most Highs have their work cut out for them. The Most Highs are deeply invested in all social institutions and all associations, cooperatives and organizations involved in each of those separate social institutions, and in many of those organizations in each of those social institutions. If you are following the long arc of social evolution in these respective areas, you realize that your world now lives in a very primitive state, meaning that it does not have the consciousness to look at itself and improve itself by taking action independently of the public being hurtful for them to do so. This is a most difficult situation, as you see. Your world is now quivering on the brink of immense global transition. When I say “you,” I mean the whole world, the global population, civilization, the nations and all societies are in anticipation of the next evolutionary stage of civilizational development. I say the word “civilizational” intentionally, because it will include all nations, all cultures, all ethnicities, all governments and so on. When you look at the oneness of the Days of Light and Life, what is it based on? How can it possibly come into being? It can come into being by having the consciousness and awareness of the commonalities of all humankind. I have spoken about this many, many times in the past; those are the seven innate values that are embedded in your DNA, and these seven values are the cause of human motivation to strive for greater and greater things for primary values or ones which will cause your nation to grow and thrive. And also to diminish themselves and to become destroyed, so the competition and the bullheadedness that they cannot see the problems in front of them and cannot overcome themselves to solve those problems. Fortunately, humanity does have the three secondary values, which give all humanity the characteristics of being human, that is the well balanced personality between the will to do and the will to be, and it is the will to be as a state of existence that allows you to become spiritually inclined, to practice spiritual practices to meditate and to aspire to become like your Father in Heaven, Christ Michael and those who have graduated into the morontial realm and are preparatory of fusing: This is your aspiration! You have the means to do it, you have the capability, now do you have the will to do that on a personal basis, a family basis, and a societal basis? We are here to help you bridge that gap, which is yawning between what is and what will be. We are here to help your civilization, you individually, your families, your societies, governments and economies to make that leap into the future, confident that you will land safely on your feet and that you will do well, and that your children and your great-great-great-great-great grandchildren will thrive in the future. You are responsible for them thriving in the future, and it is our responsibility by the dictate of Christ Michael to assist you in this co-creative process, and as we have said hundreds of times before, we cannot do this without your co-creative participation. I for one, Machiventa Melchizedek, and my cohort of many other Melchizedeks around this world are deeply excited by the possibility of what your world can become, and we are excited by the possibility of what we can become together with you, and what we will produce together for your world. Stéphane: Good morning, Machiventa. How are you today? MACHIVENTA: I am very well, thank you. I have not had any colds or flu to overcome; I am as healthy as can be and willing to be of service to Christ Michael. So, in the current so called age of capitalism where continuous growth seems to be the only path forward that people will consider from both a government or for political or financial perspectives, these are the drivers and it seems society has to suffer the consequences of those concepts. I have several questions about what you have talked about today and how this cannot continue, but what would you qualify the next age beyond capitalism? We have had communism that has proven to fail, we have had socialism that has proven to fail, there are parts of the country of Europe that seems to take care of their people much better than the rest of us, but what is the next age incrementally? We know that Light and Life is the ultimate goal, but what is the next age beyond capitalism? What would that be called? How would that be described? MACHIVENTA: Let us wait to put a label on it until after I have spoken about this topic. As you know, personally know, and other business strategists know that the future does not appear as a fait accompli; it does not appear out of nothingness. All successful ventures have built upon the successes of the past, while minimizing or depreciating or ridding themselves of those processes which are self-destructive. If we extend this same analysis, this same analogy to the future economy, what you will see is a shared capitalism. It will be the sharing of wealth, because that is the means to perpetuate growth, maintain growth and to create social stability. As you know so very well from the “Occupy Wall Street” and the developments since then, and the “Green Spring” in the Arab countries, and so on, is that the disruptions—economic, social, political—stem from inequalities. And in the case of your national economy, those gross inequalities that are actually legitimate; there are no laws forbidding people to have more than one billion dollars; there are no laws, no precedents for limiting wealth or its growth, or how it is distributed. For billionaires it is a difficult situation as they know that there is a limit to growth, they know that there is a limit to how much money they can accumulate on a personal basis, but nonetheless it occupies their time and allows them to have a meaningful and purposeful life. In the next era of capitalism this will change; it will change necessarily because there will be a concerted effort, because of the commonality of the primary value equality to ensure that the distribution of wealth becomes more level, that there is no longer a 1%:99%, but more appropriately a 45%:55%, meaning that 45% of the wealth in the world is distributed through one mechanism or another to those who have not. That is one thought right there. 11. Where does wealth come from? I will start the second thought and that is this: Where does wealth come from? Wealth comes from production; it comes from growth. That thought may sound very Marxist to you, but it is not Marxian thinking at all, as this involves the means to assist individuals to gather wealth for their own benefit and for their children. If you accept the fact that wealth as money is developed from growth, whether it is from growth of 1,000 acres of corn, or whether it is from 10,000 acres of wheat, or whether you own 2,000 filling stations in the world, it comes from growth. There is money that accrues from this investment and those are profits after labor is paid. We predict that in the future in order to equalize—at least in these early stages—equalize the wealth in the world, is that workers, employees, will begin to be seen as investors; they are investing their life in this pursuit of work and that they are no longer minions who come and go from their homes to work in the factories, stores, and so on to do the work, that they are investing their lives and they have a true investment in the success of the business as does the invested owners. You may say there is a distinction between invested owners who put their own personal money into the wealth as a stockholder into a corporation, and employees who are assigned their wealth, that investment, they would be called employee investors, as compared to vested shareholders… [This is Daniel: I am stumbling because I don’t know this area very well] …and that the means to prevent social disruption and political disruption is to insure that those workers become invested in the companies they work for, in that they become recipients of dividend disbursals. This may seem very violent to you who are invested in corporations and so on, but it is something that is on a grand global strategic level, necessary for the stability of your world. The benefit of distributing the wealth in this way is that those employees are also consumers and you can be assured that they will surely spend their new found wealth on cars, houses and education for their children, and so on, and so on, and so on, that this money is not lost; it is in fact, reinvested into your organizations and to your corporations on a global basis, rather than an individual making earnings and saving for retirement, and then having their savings lost by someone who misappropriates the money in some financial scheme or institution. It would be the assurance that everyone is invested, everyone is concerned about their welfare and outcome and leadership of their corporation. Employees then would become participants in the later development of this new economic era; the employees would then begin to take on roles of awareness in the management of the organization. You know and we know that the education of the populous in financial and investment affairs, in operation and management of corporations, is something that is not familiar to employees, thus there would be a need for a global-wide corporate education program to educate, train and inform employees about how to run a corporation. You might think that this is socialistic in an endeavor, however we see it as highly educational that individuals will apply this same wisdom and knowledge and skills and education to their own personal lives, and that of educating their children. The benefit would be far greater than would be the “loss” because loss is only to those who think that they should have 95% of the earnings and 5% to those invested employees, as example. There is a tremendous benefit too, as this allows for the more flexible thinking of investment and use of employees and how to create a higher quality of life for employees on the job, off the job in their communities, in their homes and in their elder years. You then come to see rather than stratification of population, you begin to see the unification of purpose of life and meaning for individuals, no matter how much money they have, that individuals then are more capable of becoming employed and want to be employed as they participate in this employee investment program. Work is honorable; you know work is honorable; it is a good thing for people as it provides a discipline to their thinking and to their lives. It provides a regular scheme of living and growing and becoming more. This is a gross outline of the next era that you call, and if you want to put a label on it, then let us call it “Employee Capitalism,” or some similar name as that. It should be something that you should be comfortable with, though of course it will antagonize those old guard capitalists and inflame them immensely. 15. How does this unfold? Stéphane: So, how does this unfold then? If you take these concepts and present them to the current leaders of corporations, I would say a small percentage of them would say they would be willing to accept those concepts, so it will not be a legislated outcome; there won’t be laws forcing companies to do this; it will first start as we have a few companies that do this already, but it will start on a small basis and will unfold with few leaders accepting these concepts moving forward and seeing the benefits, this movement will then grow. Is that correct? MACHIVENTA: That is correct. This would not be a legislative mandate; it will be a culture change within the culture of a corporation or an industry as that would show the way forward. This One has read a book called, “Maverick” by Semler, who did this very thing in Brazil, 10, 15, 20 years ago with great success. Of course—I say “of course” rather nonchalantly, but I do not say it in a cavalier manner—that necessity will also make this necessary for the corporations to think about the change in their corporate culture and their investment cultures. It is important that there be an incentive to do so for everyone concerned. If you look at the societal social policy point of view, it would surely decrease impoverishment by those people still employed. It is deplorable that you have people who are employed full-time in your nation, who are not spendthrifts, who are taking care of their lives carefully, but who are still nonetheless at poverty level and below. This is a sign of a deteriorating society. The impetus for this change comes from those people who have a higher consciousness and can see the benefit of sharing that 1% with the people who are employed in their company or corporation. It does not directly address the 99%, nor that it should. It is important that corporations and companies take a close look at how they are doing business and the relationship with their employees. 16. Would this be fertile ground for co-creative teams? Stéphane: Thank you, Machiventa. The next statement I was going to make is that for those corporations to do this, would this be a fertile ground to create co-creative teams, and a fertile ground for accepting the seven core values—or should we say the most fertile ground? MACHIVENTA: It would most definitely be the most fertile ground to begin this project. We also advise that in order to educate the employees that the corporation or company begin to have design and validation teams in their corporation to assist in the development of the policies to make those transitions. This has to be well thought through by management and by employees; it gives the opportunity for education of all parties concerned. Developing those policies from a traditional standpoint will end in failure, as they will be lacking in empathy and compassion. And it is from these three secondary values that you will be able to build upon those successes with employees. It requires an empathy to understand how employees are living and a compassioned willingness to share profits with employees. Above all, for management and employees it is paramount that the corporation survives; therefore giving away all the profits to employees is ridiculous, as would be for all management and investors to receive all the profits to themselves. There must be, there will need to be a functional, operational process that takes into consideration the sustainability of the corporation itself, and the sustainability of the employee, public base upon which the corporation relies upon for its new employees. It becomes more of a holism. Let me take your statement a little bit farther, it is not that the corporation becomes a mother and father, or that this becomes a family. Do not think of this as a family situation at all; this is an economic/societal relationship to sustain the longevity of the corporation, the individuals, families and the welfare of all concerned. This is a new way of thinking where there is a holism that the corporation begins to think, “How do we distribute $5 Billion in a quarter?” In today’s language, that is laughable. How would you do that meaningfully in the future? You would, of course, find a healthcare system that is mutually agreeable to everyone; there would be an investment program for the children of employees to go to college, or to go to technical school, to help those without to have the resources to unlock the potential that each child brings into the world. And so, it is not that you think in terms of family, but you think in terms of the corporation as a social/societal, economic resource for everyone who is involved, management, investors and employees. How you do that is where the teams come in. 18. How does capitalism accept global wealth distribution? Stéphane: I would love to keep talking about this, but I have another question that I would like to ask. How will the coming population decimation affect global wealth distribution and, would decimation provide fertile ground for more employee ownership? MACHIVENTA: Let us examine a worst case scenario: A worst case scenario involves any percentage of population that is decimated or lost over 30%. If the population of the world was decimated by 30%, it would necessitate cooperation among parties who had differences before, and that they have a shared investment or interest in doing business together, not as separate individuals but as combined mutual associations. This is very much like a mutual insurance company would operate, that those who were invested in the process benefit from its good operations. So too, if you were lacking drivers to drive fuel from the fuel distribution point in a large city out into the hinterlands and you were short of truck drivers, how would you solicit and garner the needed number of drivers to assist your corporation to stay in business as a distributor of gasoline, fuels and energy products? You would most likely entice them by having them become employee investors, having them become part of the operation, part of the financial equation of making a company work. The old traditional “arch your back and stay the course, double up on your efforts to do it yourself,” will surely fail. There is no room in the world for a global bankruptcy; there is no room for failure when there are enough individuals on hand to do the work, and a distribution system would need those individuals. When you see a decimation at anywhere from 30% to 60% and higher, then you will have a world that will be much changed. If you read the recent reports from the International Health Organization, they have said that it is not so much “if” there will be a global pandemic, but “when” there will be a global pandemic. They are now advising nations to develop their own national plans in the event of an outbreak of a global pandemic. You know and we know, and we assure you, that there will be a very severe global pandemic in the future. This is very similar to your market advisors and investors, who are all rather skittish right now. It is because they see the beginning of the long downward trend of decreasing national economies and global economy. As I mentioned earlier today, the inertia of your global economy takes many years for it to decrease, and it takes twice or three times as long as that to get back to where it was before. The advent of a global recession is very disheartening to many people, and the way through that is through the options I have just discussed a few moments ago. Does this answer your question, or would you like further explanation? Stéphane: No, I think that answers my question. I’ll offer the floor to the rest of the team as I seem to be hogging the time. Thank you very much. Roxie: I do have a follow-up question on Stéphane’s first question. My husband and I both worked for a large corporation where it was common for employees to stay a very long time based on good wages, retirement plans, stock options and gifts of stock, and so on. Now it seems from watching my children and grandchildren that they do not stay at any one job very long, sometimes less than a year. Some jobs actually encourage people to leave after 3 years because they want to hire in somebody with fresh ideas at lower pay. It sounds like from your comments that perhaps we need to go back to the old ways of doing things like we did during the industrial period where people stayed at their jobs throughout their lifetimes. Is that what you are saying? MACHIVENTA: No, definitely not. This is not a return to the traditional ways of doing business or the traditional values. The only way out of this is forward. What you are finding, what you are seeing or not seeing in the evidence that is before you, is that individuals are seeking purpose and meaning in their work. Individuals—let us say a young individual may jump from job to job, but in his/her time away from their mundane job they are a painter doing watercolors and portraits for example to find purpose and meaning in their life, which they can do for the rest of their lives. What has happened in your cultures is that the young children are no longer leaving school in the third grade; they are no longer leaving school in the eighth grade; they are no longer leaving school after graduation from high school, but they go onto college and they are seeking meaningful ways to fill their time and their activities of their hands and their minds and their social lives as well in meaningful and purposeful ways. No, the way forward is through the integration of work as a meaningful, purposeful means to support the living that they want on an equal basis as purpose and meaning of those who are wealthy and invested in the companies that they work for. Your world, your societies, and since your children are of the United States, we will use that as an example, are in a transition era of your cultures. This era spans easily 50-75 years; it began in the early 1960’s and was a culture change that began and has now affected the rest of the world. You have seen the changes through the psychedelic drugs, through drug use and through mind expanding experiences; you have seen this culture change through birth control and the freedoms this allows individuals to leave family relationships and to not enter into marriage relationships for economic security. Your world has changed immensely. What you are seeing, as we see, is your world coming apart. For some of you this is violent, for some of you it is disheartening, it is disorienting and it is confusing to many of you. 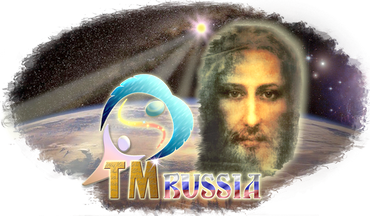 Nonetheless, it is proceeding ahead and through the designs of Christ Michael and the Melchizedeks, we are in the process of designing a sustainable future for your societies. In the meantime, there are the cataclysms as you continue to experience in North America and elsewhere around the world concerning the weather. This will have an immense effect upon your world. Your scientists have only begun to have the inkling of what will happen when Greenland has melted and what the Antarctic has done to the global level of the ocean. It will have an immense effect. These changes will cause the changes in occupations and in lifestyles and so on. You can anticipate through all these changes there will also occur the pandemic that is predicted and that Monjoronson spoke to you about over a decade ago, that these will come about and have a powerful impact upon your world. We are striving to give you the tools to reconstruct your world afterwards and rebuild it on a more peaceful basis, one that is equitable for all concerned and particularly for future generations, and that it will be sustainable and not outgrow your global limits of expansion. Craig: I understood back in the 1970‘s that in Japan companies had models whereby employees would share in prosperous times and take reduced pay in hard times and that helps with stability of their corporations. Are there models or lessons in that that we can look to for examples or for inspiration? MACHIVENTA: Most certainly, and this is in keeping with the Library of Wisdom that we hope someday will become a reality, that the wisdom that was shown and demonstrated in those corporate policies begins to be shared with others worldwide. (This is Machiventa but This One is chuckling.) If you were to ask Alexa or Siri, “What are the courses of action on a decreasing economy for a corporation?” and then Alexa or Siri would access the Library of all Human Wisdom and give you the answer in short order, either in printed form or verbally. This is what is needed in your world as you know that the wisdom does exist, just as there are the best practices of family existence, of parenting and child-rearing, so too there are best practices for the existence of stability and sustainability of societies and economies and political organizations. This wisdom must be garnered, it must be gathered and sifted, sorted, collated, organized and shared with as many people as possible, and that would truly be a universal base of wisdom. You are on the right course of thinking, young man, and we wish you to continue to think this way in the future. Craig: I heard yesterday that there is a cold going around in Victoria and that everyone is getting it. It seems inevitable that something with a high mortality rate comes along and spreads the same way through cities. MACHIVENTA: Yes, exactly, it will be in cities, it will be through mass transportation, International transportation, air travel and so on. Airports are a common point of connection for International travelers and for domestic travelers as well. It is our—I cannot say “prediction”—but what we foresee as a probability is that there will be a global pandemic which will reach its maximum within at least 4 months, and decrease after that. Four months is not much time when you consider seven billion people. Of course there will be enclaves of people who will never be touched by this as they will have no contact with that community, except by drivers who make deliveries and so on. Stéphane: Machiventa with the reduction of 30-60% of the population and with people wanting the same kind of services as they had before, there will be a rationalization of labor, and also a higher need for mega corporations will have a greater need to keep their people and offer more incentives. So do you see the reduction of population as a means by which employee ownership will be required to keep employees that will be in a much higher demand at that time? MACHIVENTA: Exactly! You have seen through it all; you have seen it very clearly. This is exactly what will happen. There will not be so much of regret for having to give up some dividends to other people, but in to having to entice people to stay there so you do have dividends. You have struck the point exactly. I wish to continue on that statement, in that what you are doing now is you are doing the forward-thinking; you are doing the “what if” scenario of planning that at this level, what do we do? At this increased level, what do we do? At this other increased level, what do we do? You will need to see the different levels of necessity to have already made some plans for, which is simply just wise thinking. Where do you curtail your operations and where do you maintain them? How do you maintain the flow of distribution through minimal operation? You want to continue to have sales to the population that remains and to insure that the population that remains has the means to buy your products. This is called economic survival in the new era. Jeff: If my memory serves, in 1795-1796, there was a great change in the weather in the Northern Hemispheres and England found itself in the position of not being able to grow crops, and there were food riots. They were in some conflict with the French at the time, and as a result, people fell quite ill through starvation, and many people fell sick during that time and I am wondering if the changes that we are seeing in the weather, both hot and cold in the various hemispheres is going to deliver similar circumstances where there will be an immense shortage of fruits and vegetables and animal protein for people and that will make a fertile ground for a pandemic? Is that something that is in your radar of possibilities? MACHIVENTA: It is exactly at the center of our radar. What you are missing is that these cataclysms do not occur in sequence, they are now developing together and there will be a nexus point at which they will begin to cascade together with all eventually occurring at their maximum. The conditions of decreased health and increased travel increase the possibility of a pandemic. Then couple the pandemic with the decreased economic activity, lack of healthcare services, or vice versa, and you will end up with scenarios where you have a tremendous loss of population through natural causes. We have been striving to assist you to see this as a cascade, rather than a domino effect, it will rather be as a multiple effects occurring, not in sequence, but developing growing together where at one time there will be an event where they are all occurring simultaneously. This is when you will have the wonderment about whether you really want to be here or not. 26. What is next on the curriculum for this group? Stéphane: This is off topic, but what is next on the curriculum for this group, from your perspective? MACHIVENTA: Thank you. This is personal to us, as it is personal to you, and personal to not only the NOCO group, but also to all people who receive this communication, these transcripts. There is a program by which we have been working on for well over 4 decades that will come into existence before too long. We can only allude to this because of the misinterpretations of what we would say, and the personal egoistic ways in which you would want to apply this. We are cautious about this because it will be personal to you; it will be something that you will want to engage in; it will be something that you can—as you have said before—something you can sink your teeth into and to find purpose and meaning in something that could become an avocation, or even something that you would want to pursue with your life. You, all of you who are reading these transcripts, and who have been following them for some time, are most well prepared to become not only the advocates, but the teachers and the counselors and mentors and coaches to help people understand what is going on and why these things are occurring. The “why” does not include spirit’s involvement in the decimation or any of the cataclysms, that these are developments of natural events and that because of knowing that ahead of time, the celestial realm has begun to prepare humanity to survive them and to sustain their existence into the future. In other words, you will be the voice, the teachers, the advanced guard who will go out and assist us to prepare people on how to recover from the disasters and the cataclysms that are occurring. We said this will be personal, and yes it will be personally presented to you as a means for you to apply your life if you so choose. That is the extent of what I can reveal to you at this time; I know that it is very nebulous, it is less than concrete and far less than transparent to you, or even partially transparent because of what you might suppose of what we have said. Now, are you totally confused? Stéphane: Will this initiative be revealed through this group or through other groups, or through non-Teaching Mission means? MACHIVENTA: In keeping with what we have revealed already through this group, you can be assured that it will continue through this group and spread rapidly through other groups as well. 27. A blend of democracy and socialism? Roxie: Machiventa, in your discussion about how to distribute resources, goods, money equitably, I wonder if some parts of socialism isn’t a better idea, where people pay more into the government through taxes, but then receive healthcare and other services free, so that all people are covered equally. Is there a way to combine socialism into a democratic form of government? MACHIVENTA: I do not wish to play cat and mouse with you, but would you invest your own money now in your government to do that? Roxie: (Laughing.) I already do in the amount of taxes I pay already. I don’t object to some of the taxes I pay because they go for good things, particularly locally like the fire department, police department, road upkeep, etc., so I am not totally against paying taxes, but I would like to see a way that people could be covered for healthcare universally, instead of just a few lucky ones. Stéphane: Roxie, I would argue that some countries pay the same amount of taxes as the United States and have universal coverage. I think it’s about the distribution of how the government decides to distribute the taxes is more of the pertinent question here. Roxie: I know in the Scandinavian countries they pay a lot more in taxes, but they have a lot of free services. MACHIVENTA: One part of our discussions that we have striven to avoid is labeling, as there is so much misconstrued information or awareness or knowledge of what a label as socialism involves. It is important not to use those labels because of the multiple meanings it has for many people applied in different ways through different cultures. You will find that in the suggestions for the recreation or the transformation of your societies in this new era that you will create new solutions, rather than looking to old solutions that you will create new solutions that are workable for the times and for the generations to come. When we hear a person mention the word “socialism” or similar words as that in conversation, it makes us begin to wonder what they have in their agenda in the discussion and where they want to take that discussion. Our purpose here is to transform your world into a world of stability, peace and a high quality of life for everyone, in that they have a meaningful life in anticipation of the morontial realm that they will engage in when they make their transition, or when they fuse while still on this planet. It is important that we have good usage of language and to avoid labels if possible. “Daniel Raphael came to my town in Statesboro, Georgia, USA, several years ago and taught us about community building for social sustainability. I am now working with community builders here to assist to do the work for building a ‘Beloved Community’ (after Dr. King’s model) in our community where poverty, violence, and misunderstandings prevail. We meet twice monthly, have held some ‘Facilitated Listening’ events around various topics—including gender identity, class and status, and police training. MACHIVENTA: The beginning of developing those community models that you seek is dependent upon two factors: One is to recognize the commonalities between and among all people that are in each individual and in your families. The other is to disable those differences of values and distinctions and bigotries and prejudices and biases that cause the separation between those commonalities that you all share. This is the process of creating a new culture. What you are seeking is not so much to make a reconciliation of the past, but to create a new culture that is dependent upon commonalities and shared equalities and appreciation for each individual. That means that when you meet someone on the street, you do no automatically say, “Oh my God, am I going to be attacked by this white man? Or, “Oh my God, am I going to be attacked by this black man?” Or, “Am I going to be held up and robbed by these kids and killed?” But rather you think through your mind that these are individuals who come forward and you see them as they are. We are not asking you to be a fool and go to the ghettos and to preach your words of light on the street corner, for you surely would most likely be attacked. We are asking you to hold in mind and examine your own personal limitations, and limitations are those thoughts, those biases, and those opinions that cause separation. What we seek for you to do is to find the commonalities and begin to appreciate other people as you appreciate your own commonalities, and that you see the potential in each individual that comes into existence, and those people who are disappointed and angry are those individuals who did not have the means to appreciate their potential that they could manifest in their lives for themselves and for others. The work is very simple; it is the willingness to accept others as you accept yourself. Jeff: I have been given an idea that I have been mulling in my mind for some time now, and that is the concept of a seven core values city and I’ve even joined the National Civic League so that I could understand their process of designation of an All American City. Would it be appropriate for me to request that those people who are reading these transcripts to send their ideas about what a seven core values city would mean to them, to send that to the 7corevalues.org web site as an email so I can get an idea of what they think that might be. Is that a worthwhile endeavor? MACHIVENTA: We certainly would not stand in your way to do so. That is an idea that individuals who read these transcripts can access and to recommend to others, including those organizations for their city and urban upliftment. Daniel: It’s time to bring this to a close. Let’s go back into our repose. MACHIVENTA: In closing we wish to remind you that what we have presented to you is quite other worldly and that compared to the topics that your neighbors think about, and the topics of discussion, and the parameters of the problems that they think about and worry about, that we have given you quite a view of your world. We have taken you to the top of a mountain, and from the top of the mountain you know that this climb has been difficult, but from the top of this mountain you can see a long ways, and you can see far into the distance of your life, of your world and your societies. We have given you perspectives that you have never possibly dreamed about when you were younger, and even those perspectives that your neighbors may have. We have given you a way of thinking about your life now on this world, and your life in the afterworld. We have given you an abundance of ideas to be of service, ideas that can take you out of your small, short mean lives into a life of purpose that is joyful and brings you joy and completeness and fulfillment in your life. Not all of you have a mean short life, as the poet has said, but you have a life of challenge, even overcoming your illnesses is quite a challenge for you. You do not have a perfect body mechanism that runs perfectly all the time. It breaks down for you at occasions and causes you much pain and misery, it is something to overcome. Many of you come into prayer during those times, and many of you have remained in prayer even through those times. We encourage you to know that you are loved, you are beloved of Christ Michael, you are his children as are his other children, but you have the added burden of knowing the work that is ahead. We thank you for your presence here and your patience to wait, knowing consciously that there are better days ahead, but there are also difficulties ahead as well and that you have chosen this life and we praise you, we bless you and will come to your aid as you request when the time is needed. Thank you and good day.